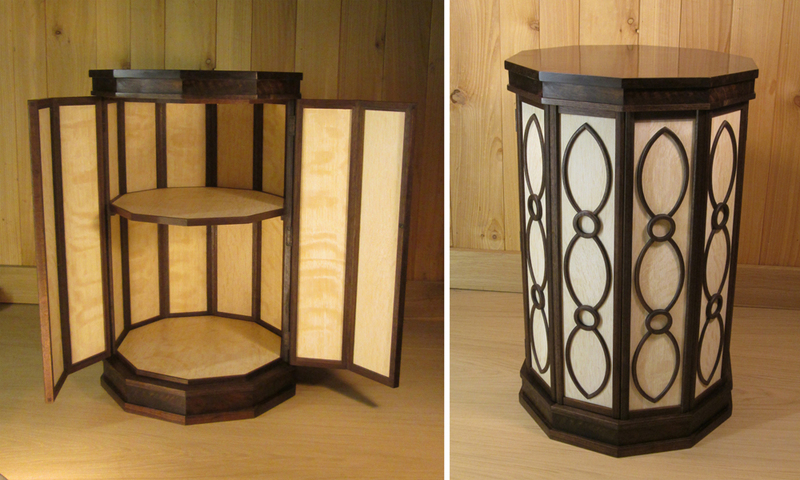 A decagonal cabinet in claro walnut and limed oak with a raised relief pattern to all ten sides. 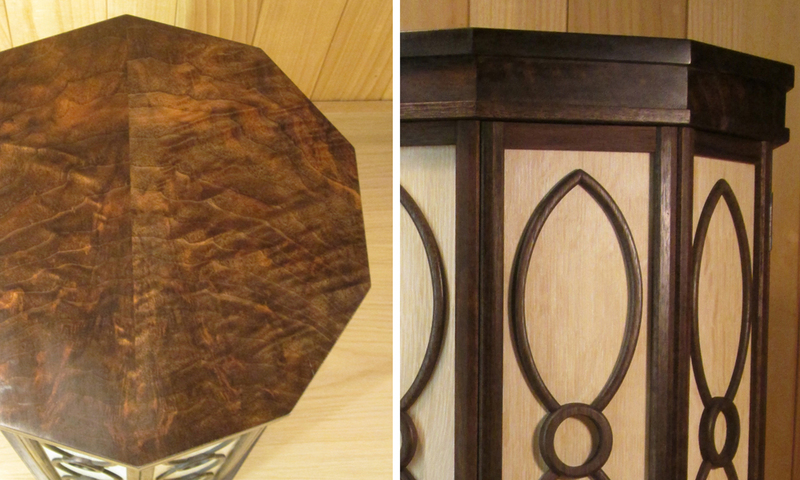 This small cabinet was partly inspired by medieval church architecture with particular reference to the font. It is a highly complex piece with 360 separate timber component in its construction. It has concealed doors which close with an almost invisible magnetic catch and is finished with twelve coats of oil to give the incredibly beautiful figuring in the walnut a real depth. 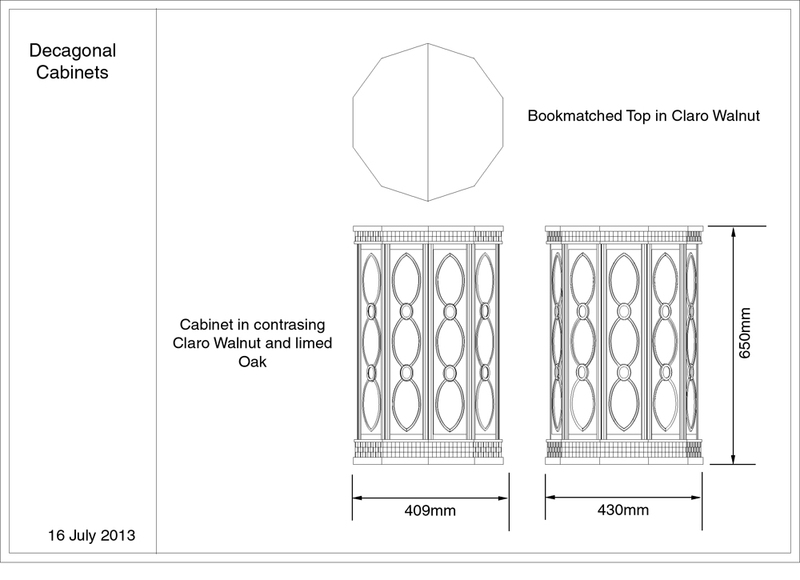 I worked closely with the client in the design phase producing a number of options which I was able to present in 3D drawings before arriving at the final design.